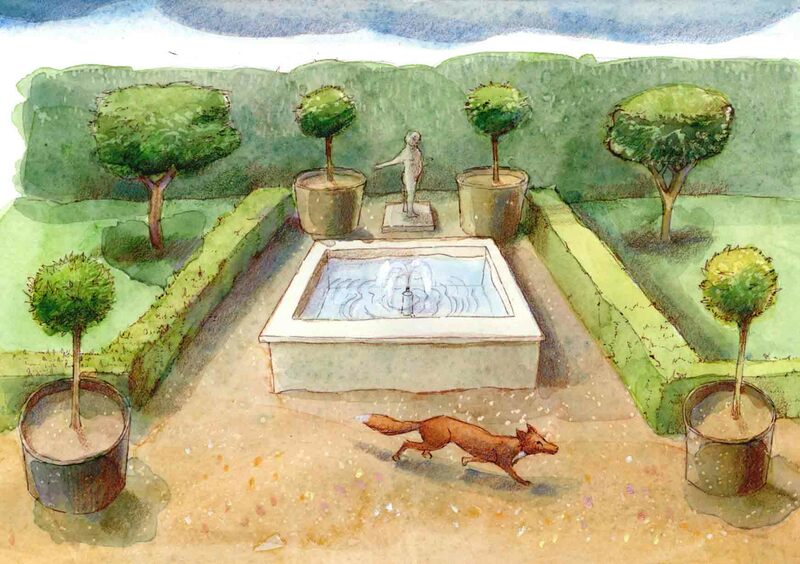 The British love to get out in the garden but did you know some of our most familiar garden plants and weeds were introduced around two thousand years ago when Britain became part of the Roman Empire? The arrival of the Romans saw an explosion in the types of plant foods eaten. Whilst some of these foods, like olives, would never have been grown in this country, others such as cherries and plums, were cultivated in gardens and orchards and remain with us today. Other plants hitched a ride in imported grain or other goods and established themselves as weeds in our fields and hedgerows. Some of these plants were deliberately introduced and escaped from cultivation while others were introduced by accident. Botanists describe plants introduced to Britain before 1500 AD and now found growing in natural habitats, as archaeophytes. There is some debate over whether box is a native plant or an archaeophyte, but the earliest examples we have are Roman. Box leaves have been recovered from the fills of Roman wells, and other places in their ancient settlements, well beyond the areas in England where box is found growing today. We think these finds are the clippings Romans threw away when they were cutting back the plant, suggesting they used box for formal garden layouts as we do today. Box also appears to have had religious significance, possibly as a symbol of eternal life. Box leaves and branches were used to keep the grave sweet and have been found in Roman graves such as Roden Down, Berkshire and Cann, near Shaftsbury, Dorset. 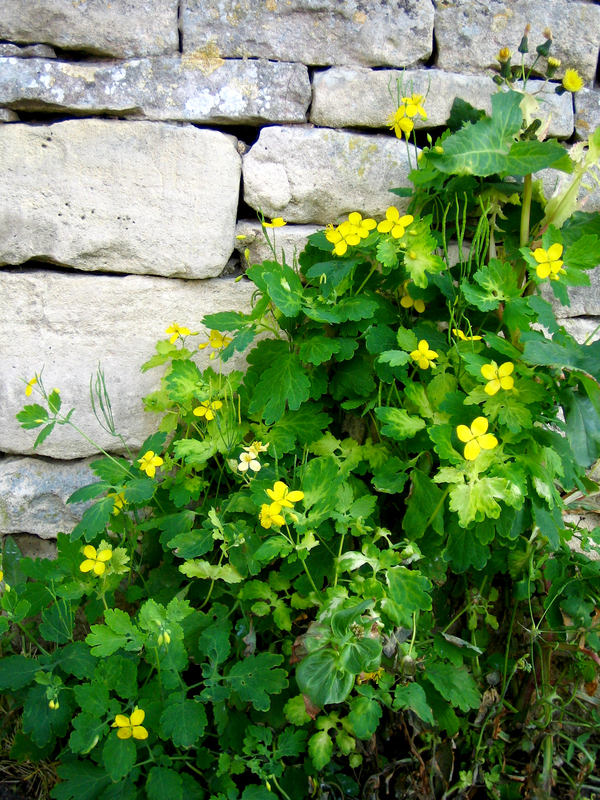 Greater Celandine is an archaeophyte which is sometimes grown in gardens today. We might see it as an ornamental plant, but to the Romans it was a medicinal herb. The fresh juice that oozes from the plant when you cut the stems was once used to cure warts and corns. Seed remains have been recovered from Roman settlements at Nantwich, Cheshire and Farmoor, Oxfordshire. 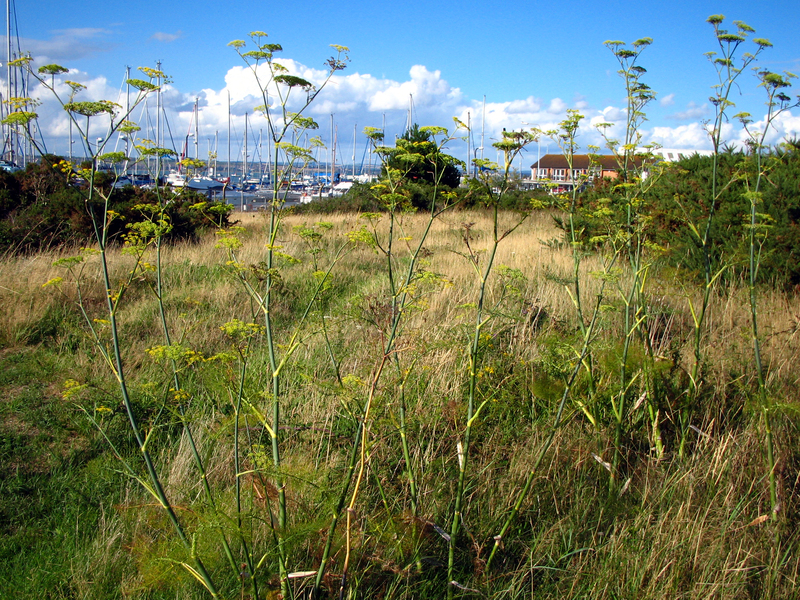 A familiar site for many of us, fennel grows wild along parts of the south coast. Today it’s most commonly used as an ingredient in cookery, herbal teas and toothpaste. It has long been used as a breath freshener and to aid digestion. The seeds, along with celery, dill and coriander, were frequently used in Roman cooking and their ancient remains have been found in Pontibus (modern Staines) and London. The next time you try to rid your garden of ground elder you can blame the Romans! Today it’s often considered a nuisance weed but ground elder was used as a pot herb in the past, a bit like we would use spinach or Swiss chard now. The first records are Roman and include finds from York and Little Waltham in Essex. Mulberry seeds have been recovered from Roman London, Silchester and York. The fruit didn’t travel well and although there are references to attempts to preserve it in boiled wine or honey, it is generally thought mulberry trees were grown in Roman towns and gardens so there was a ready supply. 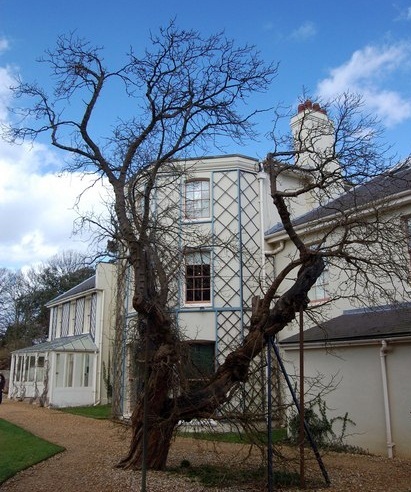 You can see a magnificent mulberry tree growing in the grounds of Down House, Charles Darwin’s home in Kent. His children used it to climb down from their first floor bedrooms to escape their lessons. 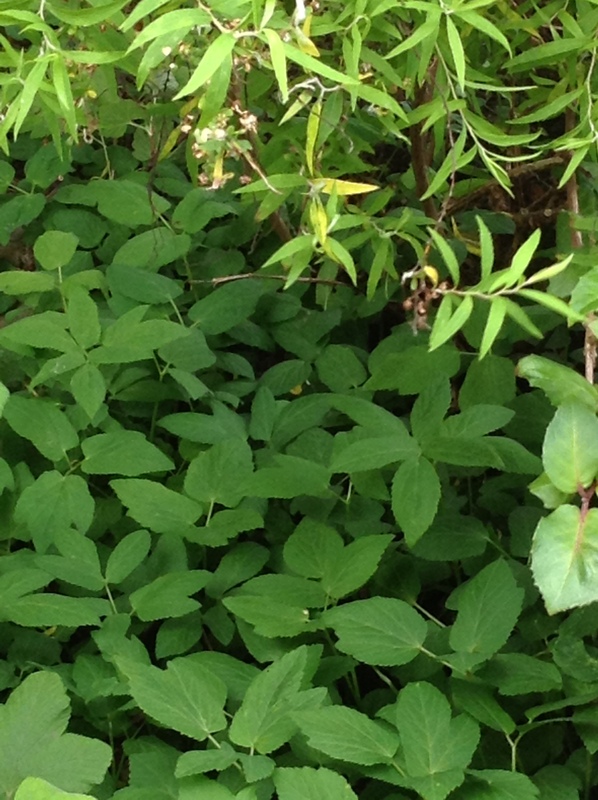 Interesting, didn’t know about the celandine – but they can have ground elder back!